Is a job taking you to a new city? Moving out of state to be closer to family? Wherever your life is taking you, Murray's Van Lines will help you get there. 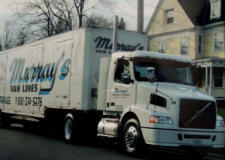 Whether you are moving to Rhode Island or moving from Rhode Island, with over ninety years of experience, Murray's Van Lines stands out as the leader in long distance moves. Moving over a long distance requires careful planning, and we will help you every step of the way to ensure that your move to Rhode Island or across the country goes smoothly. A Rhode Island relocation specialist will work with you to manage every part of your move, from your first phone call to the last box off our truck. 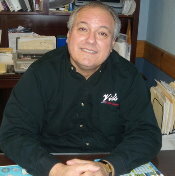 With our extensive resources and highly-trained staff, Murray's Van Lines makes your long distance move to or from Rhode Island as easy as a walk in the park.